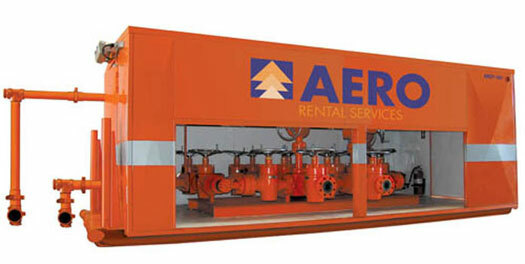 Aero has both production and drilling manifolds which are skid mounted in insulated buildings complete with heaters, lights, power cord, standpipe hose and high/low gauges. Aero's 3" 10,000# Double Drop Production Manifold is complete with Weco 1502. 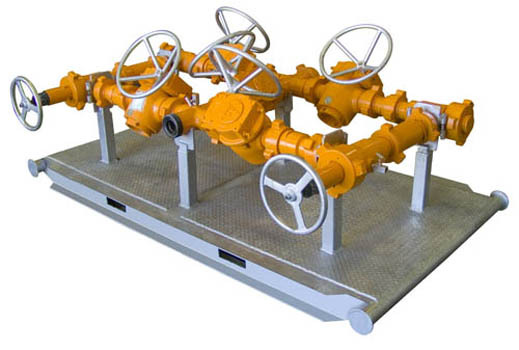 Used for directing fluid or gas from the well, the unit can send gas directly to the flare box and choke back pressure at the same time. 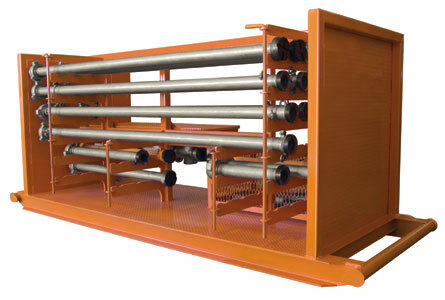 Can be utilized as a single or double flow manifold. Accessories Complete with heaters, lights, power cord, standpipe hose and high/low gauges.